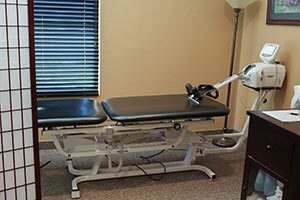 Here at Weary Chiropractic Clinic we look forward to helping you regain your maximum health. It has been our experience that many of our patients in the Presccott, Prescott Valley, Chino Valley and Dewey-Humboldt areas respond to our treatment methods with great success. We are confident that you will be delighted with our service. Dr. Bruce Weary and our devoted staff at Weary Chiropractic Clinic give every patient the opportunity to enjoy the best possible care. Our patients receive the same level of treatment that we would provide for our own loved ones. We advise care that works for each person as an individual. Call today to schedule an appointment and find out how Weary Chiropractic Clinic can help you reach your maximum health potential. 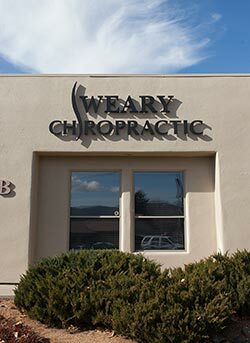 Dr. Weary is proud to provide the Prescott, AZ area with a vast array of chiropractic services including spinal decompression, weight-loss management, wellness training, massage therapy, electrical stimulation, cold laser therapy, interferential electro-therapy, on-site x-rays and much more in a state-of-the-art facility. Furthermore, Dr. Weary and his staff specialize in alleviating any discomfort you may have including neck pain, back pain, headaches, chronic pain, and any other pain suffered as a result of a sports injury or car accident. We are confident that you will feel right at home in our office as we welcome all patients as if they were family. If you would like to make an appointment, please contact our office by phone or email. Our office facilitates communications, and emergency calls and appointments are available and welcome, especially for new patients seeking help. Our office is conveniently located at 730 N Montezuma Street Suite B, Prescott, AZ 86301. We will be more than happy to submit all insurance forms for you and help you recover the most from your benefits. We will do everything we can to help you afford the treatment you need and want. Forms of payment accepted by the office are check, cash, Visa, or Mastercard. We would like to take this opportunity to thank you for choosing Weary Chiropractic Clinic for your chiropractic care.